Inkberry Creative Blog - Graphic Design, Pretty Paper Goods and More! – Tagged "holiday cards" – Inkberry Creative, Inc.
Take a Peek at our 2010 Holiday Card Designs! 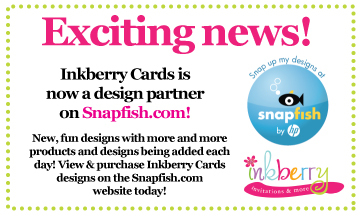 Exciting News: Inkberry Cards is now a design partner with Snapfish.com! View Inkberry Cards' designs available for purchase on Snapfish.com here.